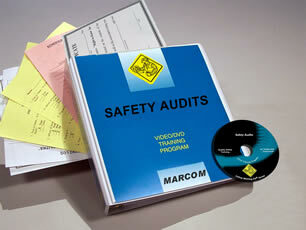 Description: MARCOM's ''Safety Audits'' Videotape Program informs employees about the goals of a Safety Audit, and how all workers should become involved. A single workplace accident can be devastating. Someone can be injured... or even killed. Property, equipment or materials can be damaged or destroyed. And work could come to a complete stand-still. All of these things can happen if efforts are not made to protect employees. One way to accomplish this is to conduct a Safety Audit. This is an examination of the work area to make sure it is as safe as possible and all potential hazards are corrected or removed. The Videotape includes information on a workplace analysis, administrative controls, engineering controls, personal protective equipment, emergency response procedures, regulatory compliance and safety/health training, accident investigation, a safety self-assessment, and more. The Videotape Program comes with a comprehensive Leader's Guide, reproducible Scheduling & Attendance Form, Employee Quiz, Training Log and Training Certificate. 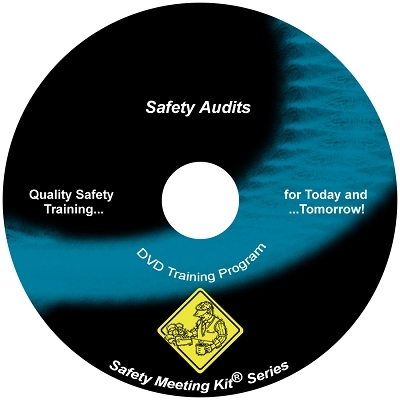 Safety Audits Video and DVD Excerpt: It's always unfortunate when it takes anaccident to remind us how important safety really is. For many of us our jobscan begin to feel routine, and it becomes easy to ignore proper safetyprocedures. Sometimes we're in a hurry to get our work done. In thesesituations it is tempting to skip procedures and take short cuts. But this canlead to mistakes, often serious ones. When was the last time that tool or pieceof machinery you work with was inspected or serviced? Broken or poorlymaintained equipment can lead to accidents damaged materials and injuries. Theycan even be deadly. That's where safety audits come in. A safety audit is aclose examination of your facility to make sure it's as safe as it can be. 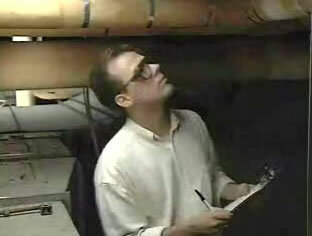 Itcan be an inspection of the entire facility, or just a single work area. Ineither case, the goal is to pinpoint problems, and solve them before anaccident happens, to get them before they get you. Now a safety audit can covera lot of ground, from safe work practices to personal protective equipment. Butlet's start by taking a close look at where you work.